Add all ingredients, with ice, to a Mixing Glass. Stir to chill and strain into a small Coupe Glass. 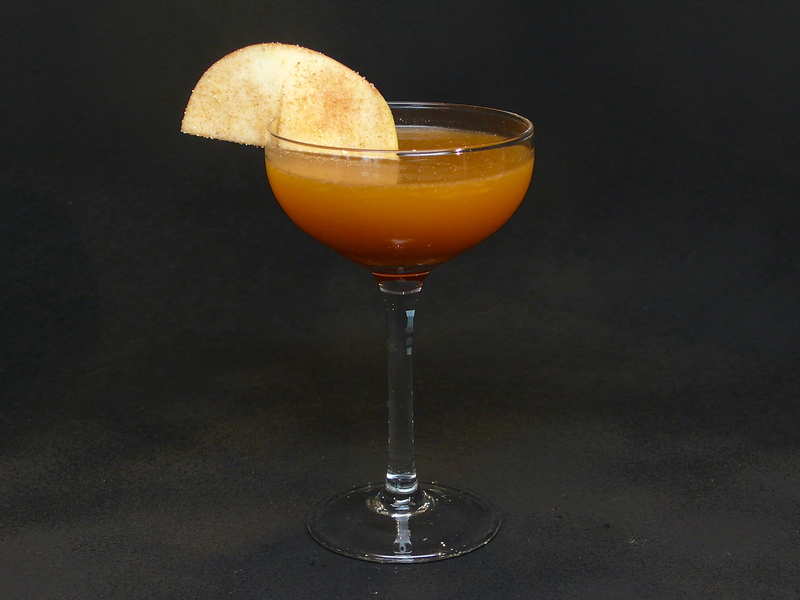 Garnish with an Apple Slice dusted with cinnamon & sugar. 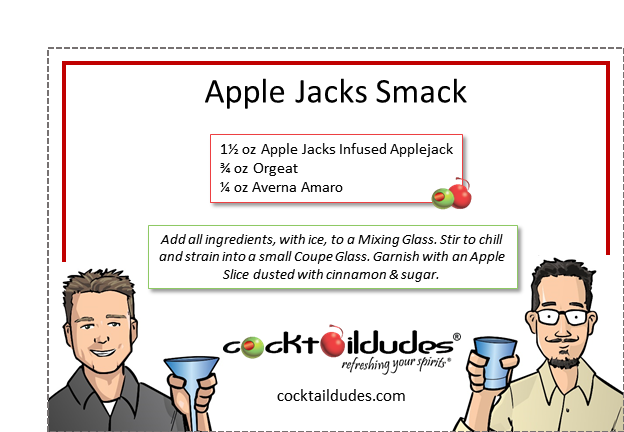 *See our Apple Jacks Infused Applejack recipe/video. The Apple Jacks Smack is a lip smackingly delicious cocktail! Here is yet another one of our original dessert cocktails which utilize Apple Jacks Infused Applejack. This fun concoction uses Orgeat, which provides the rich velvety sweetness, and Averna, which gives this drink it’s backbone and depth by imparting it’s subtle bitterness and suggestions of coffee and cocoa.